Ms. Nasha Ynez Torrez is the Dean of Students for the University of New Mexico. She is a native of northern New Mexico. 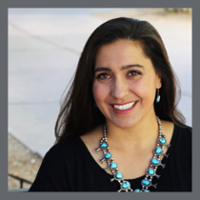 Torrez first came to the University of New Mexico in 1996 when she began her undergraduate career. As an undergrad, she was active in student organizations and served as an ASUNM Senator, the undergraduate representative in the presidential search committee, and was the recipient of multiple scholarships. She earned her Bachelor’s of Business Administration, specializing in Human Resource Management, from the Anderson School of Management in 2000. Upon graduation, she relocated to southern California and spent the next three years working as an advocate for students with disabilities at a national non-profit agency that provides legal assistance to people with disabilities. Torrez was instrumental in outreach to Spanish speaking, Native American and rural communities, as they fought for full integration and inclusion as well as individually tailored mental health and support services. In 2003, Torrez returned to New Mexico to pursue her law degree and obtained her J.D. from the University of New Mexico, School of Law in 2006. Upon graduation, she accepted a position at one of the oldest largest firms in the state before she was recruited to serve as an Assistant General Counsel to the Governor where she took a role in intergovernmental management, legal compliance and policy. In 2008, the Governor appointed Torrez to serve as the General Counsel of Expo New Mexico, where she was the youngest general counsel in the state. She left government service in 2009 and worked in private practice representing school districts across the state before working as in-house counsel at the University in 2013. During her ten years of practice, specializing in education law, she gained experience in student issues such as grievances, academic appeals, due process, freedom of expression, student confidentiality, behavioral intervention, Title IX and disability rights. She also has an extensive expertise in conflict resolution, mediation, and negotiations. Currently, as the Dean of Students, Torrez oversees the LoboRESPECT Advocacy Center and the Women’s Resource Center that are two of the three confidential reporting sites at UNM for matters related to sexual misconduct. She is instrumental in continuing to create a safer campus. Outside of the office, Torrez loves spending with her husband and their two children, and their dog, Chaco. Please schedule by email or phone (505-277-3361). Greg Golden grew up in the four corners of the United States in the village of Farmington, New Mexico. As an undergraduate he was active in the campus community as a member of the Student Govermnet, residence Halls, Greek Life and other student clubs. While pursuing his bachelors of business, Greg fell in love with the college environment and the pursuit of helping college students succeed. 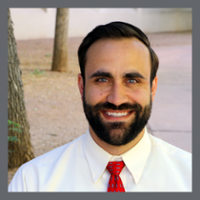 In 2011, he worked for the Student Union Building, planning events, conferences and programming while he began the pursuit of a masters of business from the UNM Anderson School of Management. After 18 months, Greg left the University of New Mexico for two years and studied Student Affairs and Higher Education at the University of Nebraska Lincoln. While at UNL, Greg worked in the Center for Civic Engagement and the office of Greek Affairs. Greg built his repetoire as a student affairs professional, focusing on character-based programs, leaddership development and Fraternity/Sorority programs. He graduated with a Masters of Arts in Student Affairs Administration from the University of Nebraska-Lincoln, and contributed research to the field of improving Panhellenic Sorority Recruitment Practices..
Greg returned to the University of New Mexico in 2014 and worked as a member of the Student Activities Center Staff. He completed his Master's of Business Administration, and continued supporting the vibrant fraternity and sorority community at UNM for three years. Today, Greg serves as a passionate advocate for students and has zeal for education. He has served as an adjunct instructor for the Anderson School of Management, and as the Assistant Dean of Students. He loves to socialize, listen to podcasts, and watch films in his free time. On more adventurous days, he is an avid skiing, hiking and exercise enthusiast. Greg's favorite campus events are Greek Sing and Red Rally. He is happily married and enjoys eating new foods and spending time with his family.